If, like me, you enjoy walking around the streets of London looking at sites of historic importance, then you will have often raged at the statues to extremely wealthy, reactionary members of the ruling case. Often what distinguishes these people is not their work for the greater good, but their ability (or sometimes inability) to create and defend the immense wealth of the tiny strata at the top of society. Some of them so eager to protect this system of inequality they put tens of thousands of ordinary people to the sword. This book is a breath of fresh air; the first part looks at the people behind a number of statues in London - war criminals like Bomber Harris and rich wastrels like George IV. 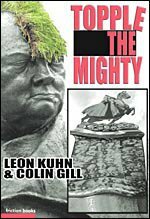 The stories are well illustrated by Kuhn’s artwork caricaturing the statues and in the case of Nelson’s column, imagining the crowd that will one day pull down that ugly edifice. But it’s on the subject of destroying statues and icons that this book really comes into its own. When May Day protesters attacked the statue of Winston Churchill in parliament square, labelling him an anti-Semite and a murderer, they were the latest in a long line of ordinary people, who destroyed the icons of hated monarchs and religious figures. 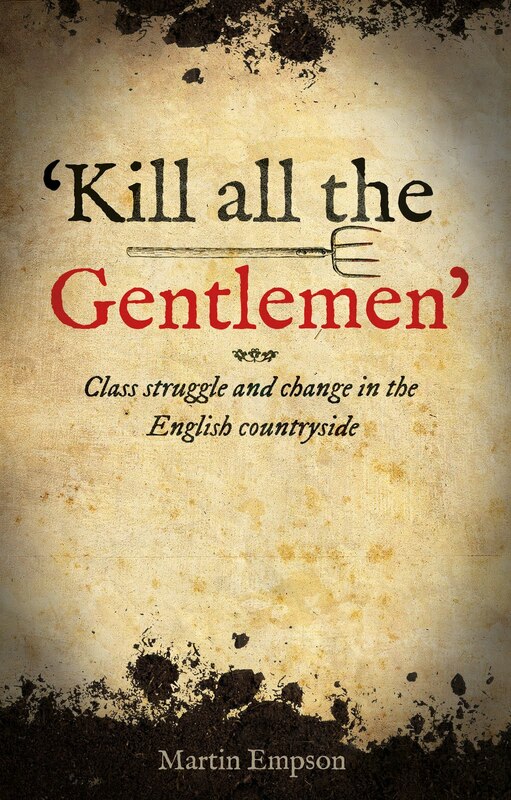 This little book brings that history alive, through the story of the English revolution and other revolts and in doing so reminds us that history isn’t the story of a few great men, but about working people struggling for justice. So I hope this book encourages a few alternate historical walks through London. Indeed, I’m off to Holborn viaduct, where there is a statue to the man who killed Wat Tyler during the peasants’ revolt - something that really ought to be removed. 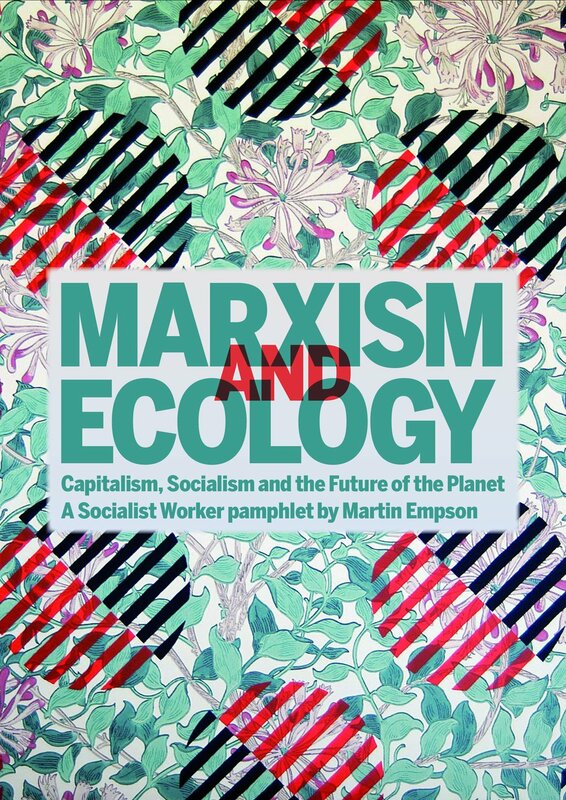 More information about some of the statues, and a walk through London with the authors, at Socialist Worker's website here. The only other book I have read of Brian Cathcart’s is his wonderful, blow by blow account of election night 1997 and the meltdown of the Tories (Were you still up for Portillo?). This is a completely different book and concentrates on the first experimental and theoretical steps taken by a smallish group of scientists around the famous physicist Ernest Rutherford. It describes the attempts made by physicists to understand the internal structure of the atom and culminates, in what was described in the media of the day as the “splitting of the atom”. While the books subtitle, in a somewhat jingoistic turn of phrase, argues that it was a small group of Cambridge based scientists who did the work, the actual story is much more one of international co-operation, the exchange and expansion of ideas and theories from around the world, combined with a friendly element of competition to build the apparatus and open up the atomic structure. Cathcart makes it clear that he doesn’t want to put off non-scientists with complex physics. So his analogies are simple (if a little irksome at times, for those in the know!) but illuminating. The story races along with more excitement than most physics lecturers I attended, and you are left with an impression of almost bumbling gentlemen stumbling from discovery to discovery. Of course this isn’t true. As Cathcart makes clear, atomic physics could only be discovered because the era of the gentleman scientist, experimenting in his country mansion was over. Instead, this research was driven by government funds and support from industrial giants. Ultimately, the work these physicists did got them the Nobel prize. As early as the 1930s, it was clear that the processes being unleashed could be used for more sinister purposes. But no one should lay the blame at the door of these men, who really were simply trying to understand the world better. A truly great satirist can poke fun at things on many levels. Pratchett’s gift is that he can take something like the Postal Service, move it to the fantasy Diskworld, populate the Post Office with Golems and other weird and wonderful characters, and THEN add in spoofs and jokes about hackers, private finance, email and a whole host of other things. While there perhaps aren’t the belly laughs in this book, as there are in some of the earlier works, there are still some seriously funny moments. Particularly amusing his is discourse on management speak. He describes how innocent words are “mugged, ravished, stripped of all true meaning and decency” but points out that ‘synergistically’ was “probably a whore from the start”. A quick glance at the inside cover shows this to be the 29th in the Diskworld series. Obviously I hope Mr. Pratchett continues to entertain us long into the future. But one thing erks me a little. For my liking, too many of the latest books have been set in Ankh Morpork and the same characters reappear over and over – the Watch, the Wizards and so on. I miss a little, the earlier characters, Rincewind and the Witches in particular. I hope that the future (and there is at least one novel “Thud”, that I have yet to read) this will change. But even if it doesn’t, I know that the books will continue to be readable. It doesn’t take that scientific a look at human history before you start to see a pattern – the rise and fall of societies, civilisations and cultures. The Roman Empire came and went – it eclipsed the Greeks, before them there was the Egyptians. More recently, South America had the Mayan and Inca city states – powerful societies that dominated that part of the world for hundreds of years. There are numerous other examples. Brian Fagan’s book is an attempt to explain how and why some of those societies were able to reach such prominence so quickly, and why they often seemed to collapse overnight. Fagan’s particular basis for this is the weather, or rather climate change. He shows how changes in the earth’s weather – from ice ages, to rainfall patterns – often led to major changes over quite local areas. Places that might have been ideal regions for crops could become arid in the space of a few years. Fagan shows, though with much less detail than Steven Mithen’s work reviewed previously, how this sometimes leads to changes in society. Climate change he points out, was the motor for the transition from hunter gathering to farming in many parts of the world. Unfortunately, Fagan’s work suffers slightly from too much journalistic description at times. For instance, I do not believe that we can accurately say that the forest dwellers who lived in the forests which covered Europe 8000 years ago were an “elusive, cautious” people. I doubt whether we can say anything at all about their bravery in fact. The later part of the book deals with medieval European times and Fagan’s main theme becomes familiar. 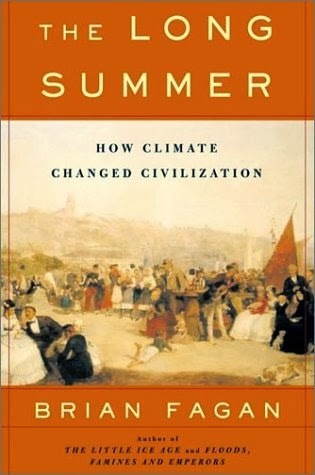 The more centralised and large a civilisation is, the more threatened it is by slight changes to the climate. His epilogue points out how modern society too lives very close to the edge. A tiny percentage of the population engaged in food production, with the people of many parts of the world living on a knife edge of existence. 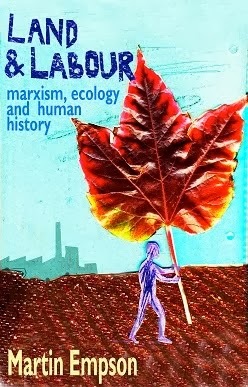 It is interesting, that both Fagan and Mithin end their books, which are essentially historical accounts with calls to arms to their readers about the threat of climate change to modern society. Perhaps they are unique in this, but I suspect that there is a growing sense of fear in some areas of academia about the future of the planet and the threat to mankind. Not least because historically environmental changes have had such a tremendous impact. In the last twelve months I’ve been privileged to read a number of Roman historians and historians of Rome. Some ancient, some modern. While almost all of them have been fascinating, they all left me feeling something was missing. Most Roman history seems to be the tales of great men. Men who were motivated we are told by greed or altruism, madness or intelligence. The figures of Cicero, Caesar, Augustus and many others stride across the pages as men who are often dismissed with a single word – cruel, kind, intelligent or instance. The beauty of Parenti’s work is that he shows how no one in ancient Rome, and certainly not those in the senate, did anything because of their personal nature. He shows absolutely how everyone was motivated by a much more modern notion. Until Tony Blair buggered it up, there was a simplistic explanation of what happened in Parliament. The Tories did the work of big business, and the Labour Party did the work of the trade union bureaucracy. The Roman senate was little different – there was the party (or grouping?) of Optimates who considered the needs of the aristocracy, and the Populares, who in some way considered the wants of the poor (except the slaves). So Parenti tells the story of these groupings, in the run up to Caesar’s time, in the context of the forces at play within the lowest levels of Roman society. Simultaneously he destroys those Roman historians (modern as well as ancient) who have taken for granted the accounts of past history. But his real story is reserved for the lives of the people who made it possible. The slaves and plebeians whose work created the wealth that we see portrayed in the works of Tacitus or Suetonius. Unsurprisingly it is a story of poverty, unemployment, hunger and the occasional rebellion. In particular it is the tale of men and women who were often portrayed as a rabble, but had as much, if not more understanding of politics than those who governed them. 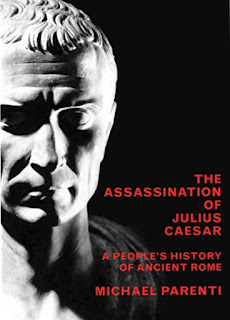 For Parenti, Caesar is a figure to be rescued – a flawed champion of the poor, one of a long line of men who entered the senate with at least some notion of principle, or some belief that the world could be improved for the poorest (except the slaves). Parenti’s Caesar is one who mobilised the poor to challenge the status quo, and paid for it with his life. But Parenti doesn’t simply put Caesar on a pedestal. He argues that he was a warmonger, a slaver, and a plunderer. But he points out how this didn’t distinguish him from any of those in the Roman senate. No student, amateur or professional can afford not to consider this work. Even if you are the most conservative or revisionist historians I hope you spend much of your working life refuting some of Parenti’s points. As a taster, I offer this quote from the end of the work. I hope it inspires you all to further reading. We hear that we must avoid imposing present values upon past experience, and we must immerse ourselves in the historic context under study. But few historians immerse themselves in the grim and embattled social experience of the Roman proletariat. If anything, they see the poor – especially the rebellious poor – through the prism of their own class bias, the same bias shared by ancient historians from Polybius and Cicero to Tacitus and Velleius. (*) Full title: "The Assassination of Julius Caesar - A People's History of Ancient Rome" By Michael Parenti.